It is unusual in that has properties of both a tendon and a ligament, it doesn’t attach like other tendons at specific points like the attachment of say biceps femoris tendon on the lateral tibia, but instead blends seamlessly into the knee joint capsule at the lower end and with the glute max, TFL and the pelvis at the other. It also attaches bone to bone, pelvis to distal femur. Also whilst we might think of the attachments being at either end it also attaches to the full length of the femur, only more strongly at the distal end. So what is Illiotibial band syndrome? Illiotibial band syndrome affects around 5-6% of distance runners but the site of the pain is often misunderstood. It is sometimes confused with patella-femoral pain but the two are in quite different locations. The pain from Illiotibial band syndrome is on the side of the knee whilst PFP is around the knee cap. A bursa that has become irritated. A bursa has responded to the stress placed on it in a similar manner to the development of a callus. A highly ennervated “fat pad” has become irritated. Whilst it is a commonly held theory it is unlikely that the ITB being too tight is the cause given the manner in which it actually works. The ITB is at it’s tightest around 30° of knee flexion and it is here that it may be creating the irritation of the tissues that become problematic. Enough exposure to the irritation would cause pain regardless of the tension in the ITB. If we then think about what happens when things get sore, that is we slow down. 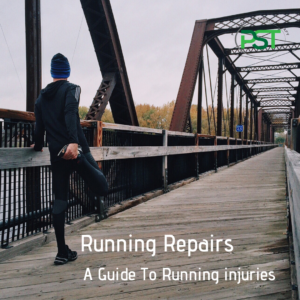 It is doing precisely this that may make things worse and perhaps why it is more of an issue with longer distance runners who spend the vast majority of their training at slower speeds thus spending larger periods of time in exactly the position of maximum irritation. Whilst the ITB may not be “tight” there may be issues with tension in specific positions, as described above. This may be due to strength issues around the hip, lower leg or in the hamstrings, essentially it can be very hard to find any true muscular or biomechanical fault to pin the be on. If we take the idea that the hamstrings are doing the job of force transfer, their main job in gait, then this may have the knock on effect of the hip musculature doing more than it’s fair share along with the quads. This all adds up to a leg where nothing is working quite as well as it might and you end up spending more time in the zone where the irritation occurs and is a classic example of how the knee is between a rock and a hard place having to deal with stresses coming from above and below. So what is the cause of the cause? As with most sports injuries, it most likely to be exceeding the training load, in terms of volume or intensity and frequency, that you are able to tolerate. 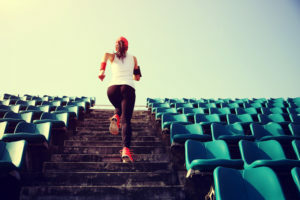 It could be that you have increased your weekly mileage to sharply or introduced some extra higher intensity sessions, such as hill reps, without adjusting any other variables. or ended up in the situation that you have no rest days thinking that “recovery runs” allow for this. The lack of rest days is a big issue in repetitive strain type injuries where the constant exposure to the stress where there is little or no rest even in the form of different training modalities. 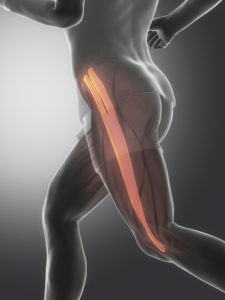 What can you do about your illiotibial band syndrome? Prevention is better than cure so managing your training load is of primary importance. When looking to increase this, be it overall volume or intensity, make sure that any increases are a maximum of 10% week on week. Ensure that you have at least 2 days where you don’t run at all, rest really is your friend, and make one of them after your longest run. Try to get off road a little if you can, the change in surface can be a massive boon in terms of spreading the stresses through the body. The change in surface and uneven nature of running off road a=can be a huge boon for distance runner and it is this rather than off road running surfaces being “softer” that is likely where any benefit lies. Have a look at you cadence. Ideally we want this to be between 165-190 on most of your runs. Lower than this range sees quite significant increases in the impact forces you are subjected to. It also has the benefit of reducing the load on the knee and allows the glutes to do a better job of assisting in absorbing the impact forces. Outside of running itself try to do some strength training regularly. But I’m a runner I hear you cry. Yes you are but getting stronger has rarely affected performance in any way unless it was done to the exclusion of the primary activity or focus. Some general lower body work will help in many ways and not just in reducing the chances of ITB issues. Increasing your strength has great benefit in terms of reducing injury rates, down to a 1/3 of those programs that don’t include it. Next PostNext Capacity and performance: how much can you do before it hurts?